Google has announced that Gmail users can look forward to another year of free voice calls from the email service's chat widget. Initially launched in 2010, the promotion was expected to expire after the first year but has been repeatedly extended, with the latest update promising service through the end of 2013. 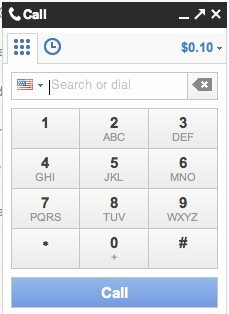 The feature allows folks in the US and Canada to call any domestic landline or mobile phone without charge, while those in other countries enjoy "insanely low rates" that start at $0.02 a minute. Calls can be made from within Gmail's chat interface, which is powered by technology that Google acquired along with Gizmo5 in 2009, while Google Voice users can accept incoming calls from Gmail. In addition to that announcement, Google has revealed two new features in Chrome 25 that will help protect users from unwanted extensions. "Until now, it has been possible to silently install extensions into Chrome on Windows using the Windows registry mechanism for extension deployment," Google explained. "This feature was originally intended to allow users to opt-in to adding a useful extension to Chrome as a part of the installation of another application. Unfortunately, this feature has been widely abused by third parties to silently install extensions into Chrome without proper acknowledgment from users." To combat the issue, extensions installed by third-party programs using external extension deployment options will be disabled by default. When they install an add-on, the Chrome menu will receive a badge and users can choose to enable the extension manually -- or not. Along with that change, Google notes that all extensions previously installed using external deployment options will be automatically disabled and Chrome will show a one-time prompt to permit the re-enabling of those extensions.